One of the major impacts of the Industrial Revolution was the effect it had on the lives of women. Before the advent of industrialization, women were often tasked with traditional jobs such as making and repairing clothing. They were also commonly involved with helping manage the affairs of the farm and raising children. However, the traditional role for women began to change as the Industrial Revolution unfolded. For example, the impacts of the Agricultural Revolution and Enclosure Movement forced many small farmers off of their land. This caused many people to migrate from rural areas to urban centers in search of work in the newly established factories and mines. For instance, the textile industry benefitted greatly from the numerous inventions that were created during the time period, and many textile mills emerged across Britain in the 18th and 19th centuries. This meant that clothing shifted from being traditionally a role of women to a mass produced good in factories. As a result of the impacts of the Industrial Revolution, women entered the workforce in textile mills and coal mines in large numbers. Also, women entered the workforce in order to help support the family. A common feature of the Industrial Revolution, for working-class people, was the low level of pay that they received. As a result, women and children often worked in the factories and mines in order to help pay for the families cost of living. Woman in a coal mine in the Industrial Revolution. Women were not valued the same as men in the workplace, and were often paid much less than men. For example, while male British industrial workers were often paid about 10 shillings per week, women were paid half that. 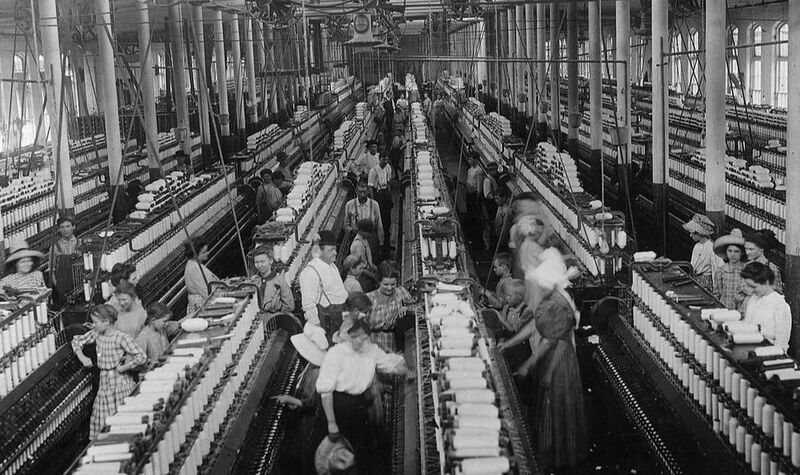 Along with poor pay, women were also subjected to horrible conditions in the workplace. While women were often used as domestic workers in the homes of the wealthy, they also worked in the factories and mines. 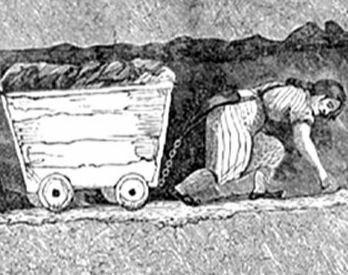 For example, a common job for women in a coal mine was to haul carts of coal up mine shafts. The woman would have the cart full of coal attached to her waist by a strap and she would be expected to haul it through the narrow space. The work was tiring and dangerous. At the same time that women were entering the workforce, socialist values were emerging in the Industrial Revolution, as workers began to protest and fight for more equal rights. For example, the labor movement emerged out of the ideas surrounding ideologies, such as Marxism and utopian socialism. The early feminist movements also emerged out of this time period, as women began to organize and protest for more equality in society. Feminism is the name for the movement of women’s rights that sought equality with men. During the Industrial Revolution, the early feminist movements particularly fought for workplace equality, but first needed to achieve equal voting rights. As such, one of the first things that women began to fight for was the right to vote. 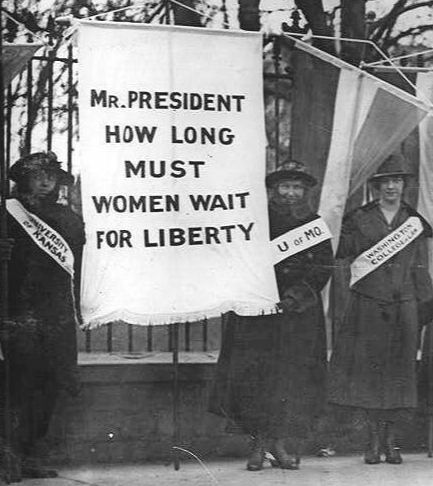 Throughout the 1800s, women were denied the right to vote, but this changed in most industrial societies in the early 1900s, as the governments began to extend rights to women. This movement for equality in voting rights is often referred to as the suffrage movement and the women who fought for equal voting rights are referred to as suffragettes. The feminist movement emerged from the time of the Industrial Revolution. In conclusion, the Industrial Revolution had a profound effect on the lives of women. They saw their role in society dramatically shift and many of them entered the workforce in order to support their families. Once in the workplace their faced discrimination and poor treatment. As a result, the first feminist movements emerged out of the time period and sought equality, especially in terms of voting rights. Today, the feminist movement continues as women fight for equal pay, maternity rights and more.